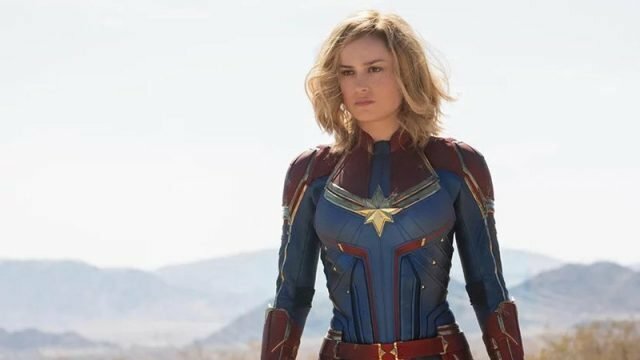 Warning: Possible spoilers follow for Captain Marvel! When it comes to superhero movies, we can usually trust early looks at a film’s toys to provide us with hints about the plot. Thanks to a user on the Marvel Studios sub-reddit, we have our first look at the Funko Pops inspired by next year’s Captain Marvel. Brie Larson’s Carol Danvers, Samuel L. Jackson’s Nick Fury, and Ben Mendelsohn’s Talos are just a few of the main characters getting their own figures. But the line-up also includes Yon-Rogg, a major character from the Captain Marvel mythology. Consequently, this may mean that Jude Law will be playing Yon-Rogg in March’s cosmic showdown. In the comics, Yon-Rogg was a high ranking member of the Imperial Kree Army who commanded his own spacecraft, the Helion. During his military service, he instigated a bitter rivalry with Mar-Vell when the soldier became romantically involved with Una, the subject of Yon-Rogg’s own affections. Yon-Rogg attempted to kill Mar-Vell on several occasions. One of their battles resulted in Carol Danvers developing a half-Kree physiology and becoming a superhero in her own right. It was initially rumored that Law would play Walter Lawson, the alter-ego of Mar-Vell. However, the nature of Law’s character was largely kept under wraps. Marvel later revealed he would be the Starforce commander who taught Carol Danvers how to use her abilities. If this toy leak proves to be accurate, it could potentially signal a twist that involves Carol fighting more than just the Skrulls. Captain Marvel hits theaters on March 8, 2019. Do you like the idea of Jude Law playing Yon-Rogg in the film? Tell us what you think in the comment section below!